Hi Geoff, hope this email finds you well. Thanks so much for your support and assistance with the container yesterday. Exciting week ahead with the filming of a documentary series with a film crew from UK Discovery. 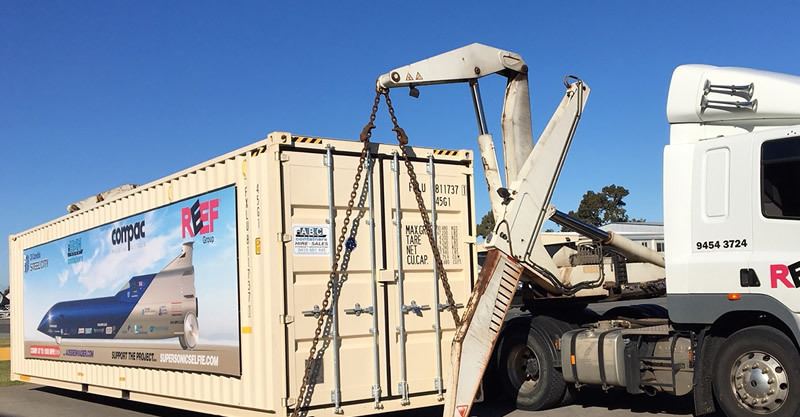 "Very pleased with my first purchase from ABC Containers, my enquiry was handle quickly and efficiently, James gave me the details and information required for my purchase. The attention to detail on the container and delivery service was achieved in my timeframe." "Thankyou for delivery of the 20" OS Container today. Yourselves were the most professional, quick and easy to deal with. The driver was most helpful, he kept in contact during his drive down here to Albany and was friendly." Just confirming my 20’ HC container arrived punctually on schedule first thing this morning, and was offloaded and placed precisely where I needed it to go, under a tree & perpendicular to the driveway. Mick Fish did a great job on transporting and unloading. I’m very happy with the quality and condition of the container too. Thanks very much."